Jesi! Put the phone down! Shelby basically had to pry Jesi’s phone from her hands to get her to records SPEW #7: Pokemon Go Crazy. And that’s only because she gets to talk about Pokemon Go. In espisode 7, Shelby and Jesi talk about how Pokemon Go has impacted the SWFL community. They both have learned amazing things about their region because of Poke Stops. Also, Jesi has made several friends in SWFL just because she organized Fort Myers’ first Pokemon Go event downtown. If you’re not from SWFL, you might not know that there are several Poke Stops near the river downtown. Some of them are so close they overlap. So Jesi got the great idea to organize a Pokemon Go Picnic on Sunday, July 17th. Jesi was even interviewed by the local news! SPEW #7 also confirms Shelby and Jesi’s Pokemon cred. Find out what their first Pokemon games were, and most importantly, find out what Pokemon Go teams they’re on. Check in soon with the SPEW crew here at Love Your Rebellion to find out how the Pokemon Go Picnic went! Jesi and Shelby are sure to have some silly stories for you. 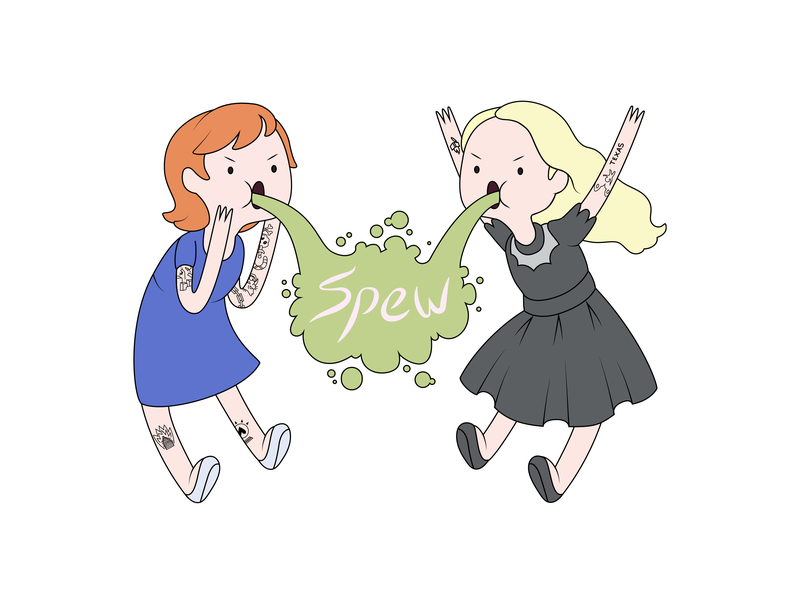 If you love the SPEW babes and all their quips and quirks, listen to episodes 1 through 6 here! New episodes will be posted weekly so subscribe to SPEW on iTunes or Stitcher, follow us on SoundCloud, and join us on Facebook, Instagram, and Twitter to contribute to conversation, meet special guests, and get in on giveaway, games, and general geekery.